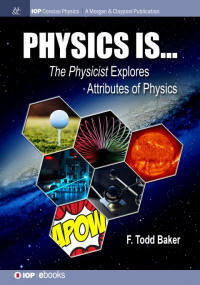 Do you have a question related to physics? Since 1999 I have answered more than 6000 questions on line and many more by brief email. To see how I select questions to answer, link here. If you do not submit a valid email address, I will not answer your question. Please read the groundrules for the site. If the answer is to your liking, please consider making a donation to help support this service. A history of past questions and answers may be seen by clicking here. I have organized old answers into categories for easier searching or perusing. You may also search the whole site. There is now an Ask the Physicist facebook page. I cannot answer questions there because the formatting is too limited, but I will use the page to note recent answers which I find particularly interesting. If you "like" the page you will receive such notifications. Also, if you would like to make comments on my answers, that would be a good place. If your question is clearly astronomy or astrophysics, particularly detailed questions about black holes, stellar evolution, dark matter or dark energy, the big bang, etc., areas in which I am not expert, I may not answer. If you google ask astronomer or ask astrophysicist you will get lots of possibilities. I recommend NASA's Ask an Astrophysicist. Another good place is Curious about Astronomy? Finally, I am not a psychic! Look them up, psychic and physicist. Need homework help? Try here. If you would like to submit a question, just click the button below to go to the question form. Please read site groundrules and peruse the FAQ page before submitting your question. You can also search the site for previous answers. Although I do not answer homework questions or do tutoring, many of the sites which advertise on this site (look right) do.